1971 – First 2x Pinto on the starting grid at Oxford Plains, ME. 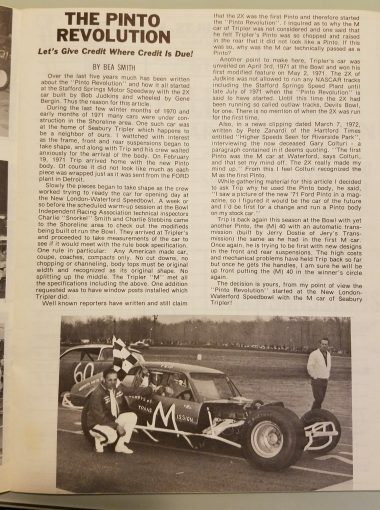 Gene Bergin drove and won. 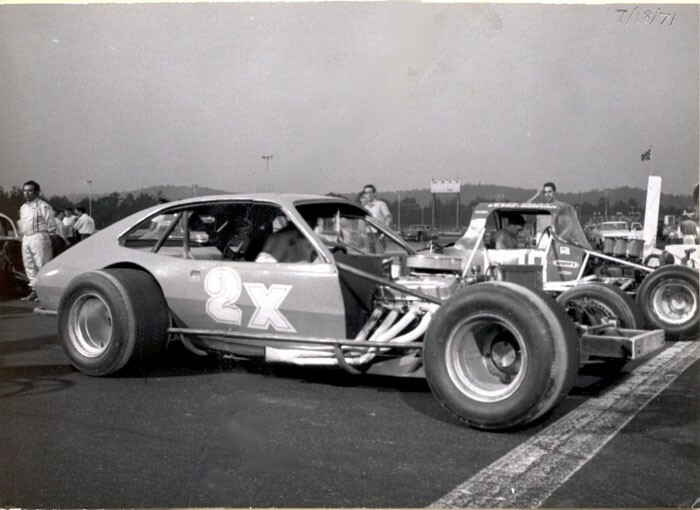 First 2x Pinto, driven by Gene Bergin. This 2x Pinto was not raced by Ed. 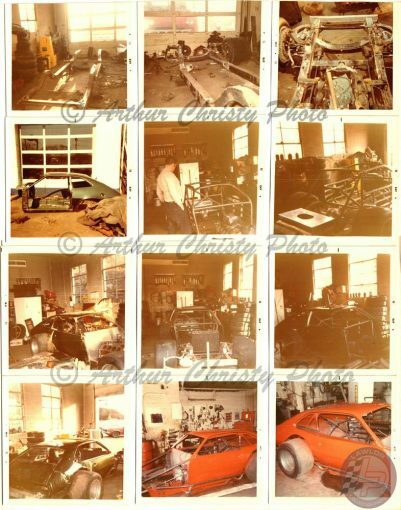 This is the first 2x Pinto under construction at Bob’s garage on the Berlin Turnpike. Photos by Arthur Christy, from the Chuck Grime Collection via Fran Lawlor. 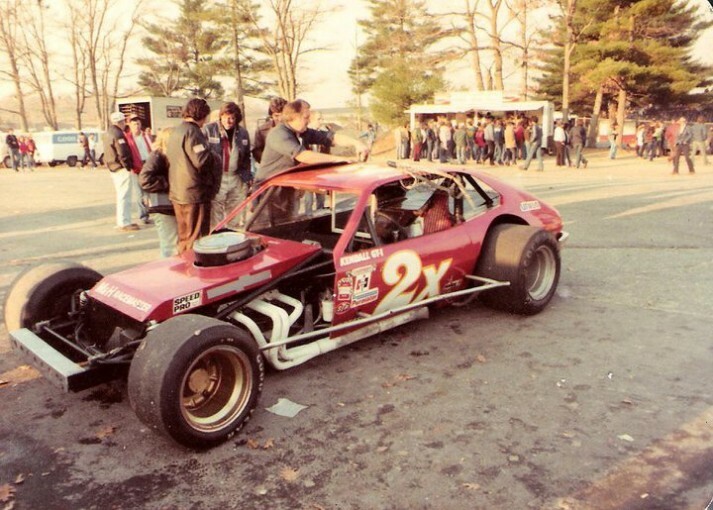 This version was never raced by Ed, but was often driven by Ron Bouchard, who can be seen directly behind the car’s air cleaner. 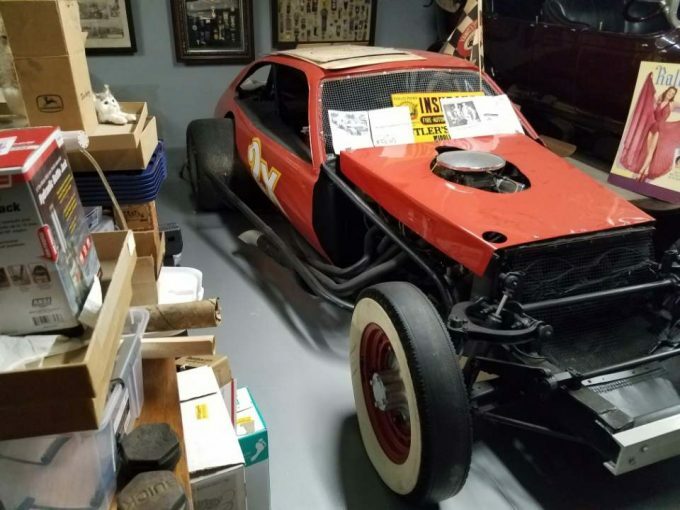 This is said to be the original 2x Pinto, more than 40 years later. 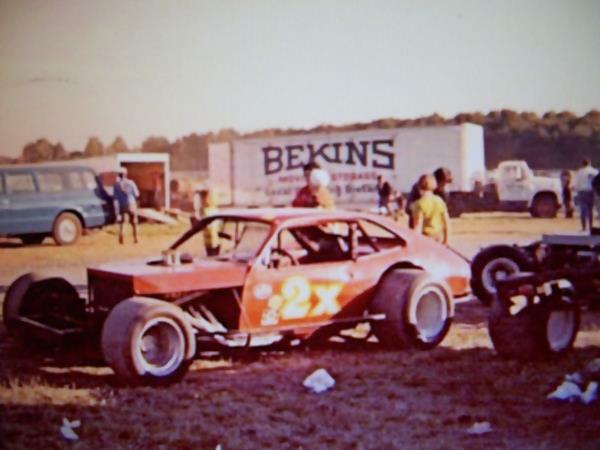 Although Bob Judkins’s 2x Pinto is thought by many people to have been the first Pinto in Modified racing, it was actually preceded by about three months by Seabury Tripler’s Pinto.